Alberta, Canada where the sun shines for 17 hours each summer day, the mountains tickle the clouds and the northern lights dance in the vast night sky. 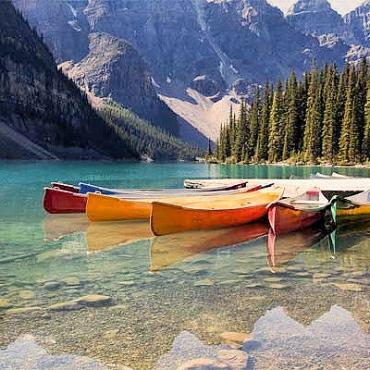 Come walk on a glacier, explore mountain canyons or take gentle hikes along picturesque river valley trails on this leisurely holiday to a truly sensational part of Canada. Early booking offers for 2018 – Reserve your motorhome journey NOW! Please call for further details on 0800 316 3012. 1 night pre-tour/1 night post-tour in a 4 star centrally located Edmonton hotel. Mobile itinerary app with instant itinerary access on mobile devices while en route with offline maps and real-time itinerary updates that will take into account any changes on the route. Edmonton is perched on the North Saskatchewan River with its past recreated at Fort Edmonton Park, a living history museum. The city's contemporary landmarks include the Royal Alberta Museum, with aboriginal-culture and natural-history galleries, and the futuristic-looking Art Gallery of Alberta, known for its First Nations art. 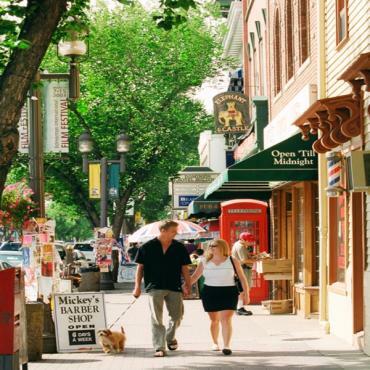 With more than 30 annual festivals, the largest shopping and entertainment complex on the continent and vast amounts of green place, it serves as a popular cultural destination and great gateway to Alberta’s Great North West. In the evening, enjoy a foodie tour, a lively music bar or follow the “Red Brick Road” on a self-guided heritage trail around historic downtown Edmonton. (If you taking the fly-drive option, your car will be ready for collection on day 2). Your drive west today from Edmonton will take you across peaceful prairies set under endless blue skies. Stop at impressive Rochfort Bridge, one of North America's longest train trestle bridges, or Fort Assininboine Friendship Museum, a reconstructed Hudson Bay fur trading fort. Hear you'll learn about the early pioneers and fur traders that trekked through this area on the Klondike Trail to Yukon. Overnight in Whitecourt, the snowmobile capital of Alberta! 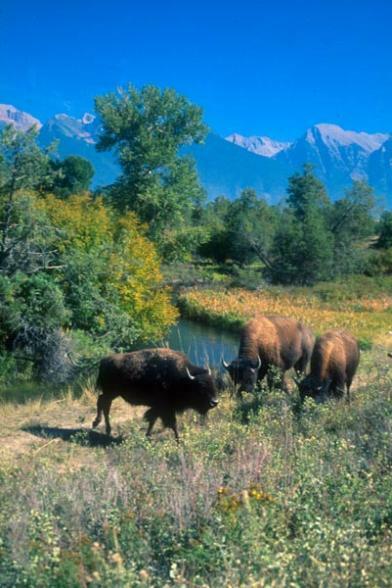 In summer this area offers amazing hiking trails and world class wildlife sightings. Bon Voyage can also prearrange wildlife and sport-fishing trips along the Berland River. Leave the prairie landscape behind today as you journey along the scenic Yellowhead Trail to the small town of Edson. 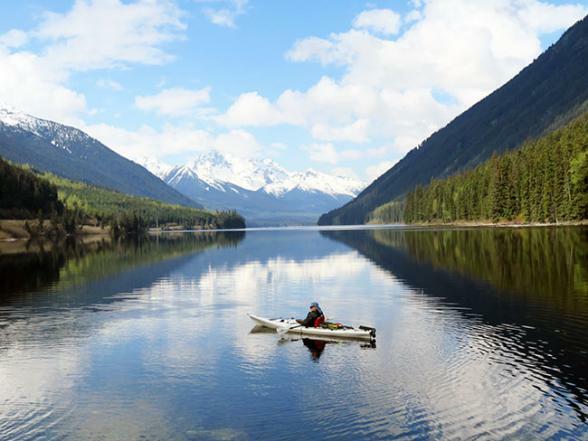 This picture postcard town lies in a verdant river valley surrounded by a vast boreal forest and lakes. It's the perfect spot for lunch before you head to Grande Cache at the northern tip of the Rocky Mountains and perched on the edge of Willmore Wilderness Park. This small, rustic mountain town sits on a plateau and is surrounded by turquoise lakes, snow-capped peaks and offers endless wilderness trails. 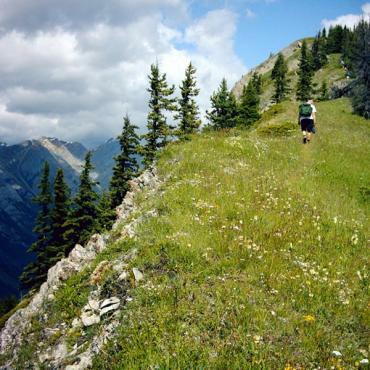 If you are seeking seclusion and true wilderness you'll find it in Willmore Wilderness Park. No motorised vehicles are allowed, entry is by foot or horse only. Bon Voyage can pre-arrange guided hikes. Be sure to also visit Sulphur Gates Provincial Park, a short hike in the park will take you to an extraordinary cliff-top viewing area of whirlpools depositing swirls of green-blue minerals as two powerful rivers converge. 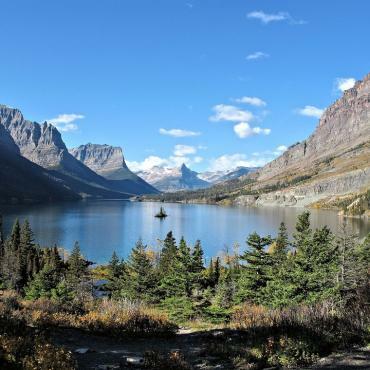 Defined by glaciers, lakes and peaks like 11,033-ft.-high Mt. 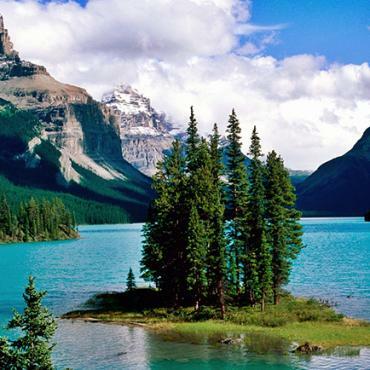 Edith Cavell, Jasper National Park is yours to explore for three days. Take the Jasper SkyTram, the longest and highest aerial tramway in Canada, and enjoy views over six mountain ranges. Explore Maligne Canyon's waterfalls, fossils and wildlife as you take an easy trail across bridges that span the impressive gorge. 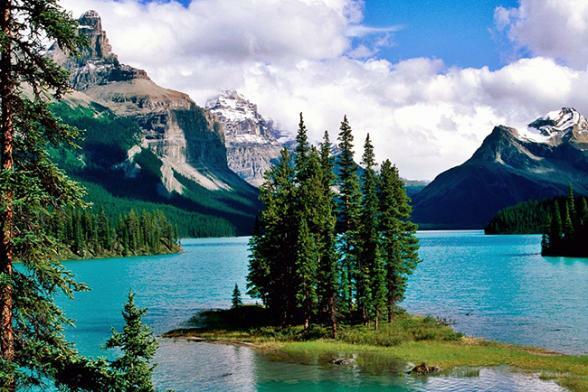 No visit to Jasper National Park is complete without a cruise on Lake Maligne to Spirit Island, one of the most photographed spots in the world. Did you realise that Jasper was home to the world's second largest Dark Sky Preserve? Take a closer look at the Milky Way and the constellations in the observatory. Alternatively, view shooting stars, meteor showers, and if you're lucky, the Northern Lights, at a Jasper SkyTram Star Session. All tours and excursions can be pre-arranged by Bon Voyage. Today it's all about the drive! 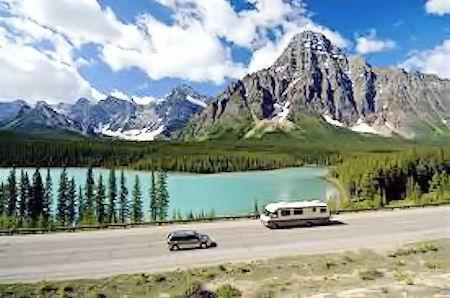 Linking Jasper to Lake Louise is one of the most beautiful journeys on earth– the Icefields Parkway. 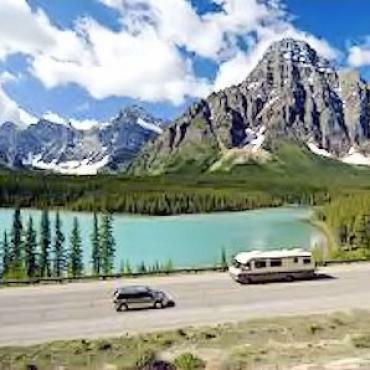 Rated as one of the top drives in the world, this 150 mile stretch of double-lane highway winds along the Continental Divide through soaring rocky mountain peaks, icefields and vast sweeping valleys. Plan to leave early and take a full day to savour every moment. Let Bon Voyage pre-arrange the Columbia Icefield Glacier Adventure and the Glacier Skywalk Experience en route. On this excursion you'll board an Ice Explorer Buggy and venture out onto the glacier. Follow this with a trip to the newly constructed Glacier Skywalk. Enjoy the views over the glacier-formed valley from a glass floored observation platform 280 metres above the valley floor. Arrive at Banff National Park early evening in time for a chilled glass of wine by the campfire. 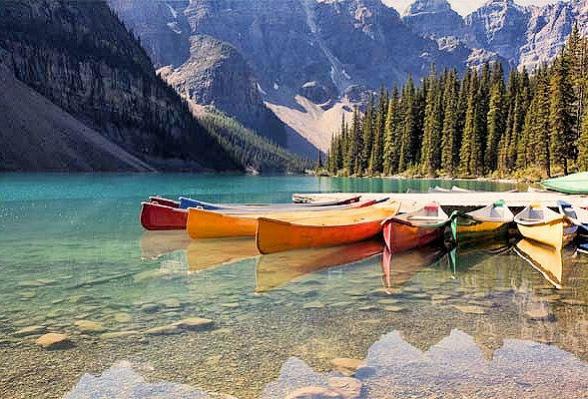 Canada's oldest national park is a joy to explore and offers unparalleled mountain scenery, flower filled meadows and jagged mountain peaks. 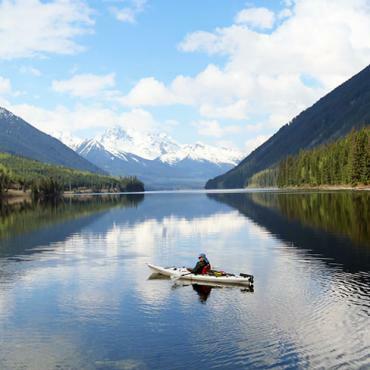 Take a cruise on lake Minnewanka, enjoy a picnic on the shores of glacier fed Moraine or Peyto Lake, or hop on the Banff Gondola to the top of Sulphur Mountain for unsurpassed views over the Rockies. Just three miles south of the town is the Upper Banff Hot Springs, a delightful spot on top of Avenue Mountain to kick back, relax and enjoy the alpine scenery. 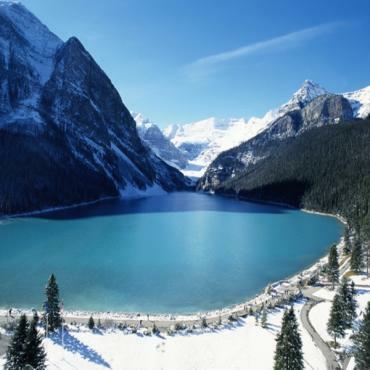 It's a short drive from Banff to legendary Lake Louise! 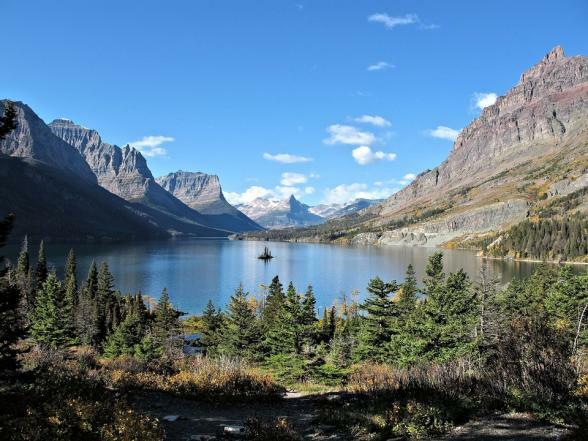 Plan to arrive early to miss the crowds, gaze out in wonder at one the most photographed lakes on earth. Definitely add nearby Lake Agnes and the Tea House Trail to your list. Afterall, who can resist a gentle hike that ends with a steaming cup of hot chocolate, a huge slice of cake and incredible views? It's a short drive today to K-Country! Boasting overr 4,000 square kilometers of mountain parks and foothills Kananaskis County is a year-round adventure playground. Stroll around the pretty mountain town of Canmore, check out the art galleries, one-of-a-kind-boutiques and cosy tearooms. 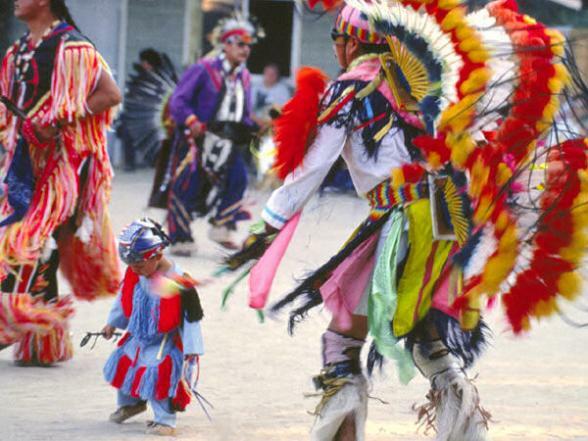 Many festivals and live music events take place here during the summer making it a fun town to visit. Travel in the shadow of the mountains to your next overnight stop in the small Alberta town of Rocky Mountain House. Rocky Mountain House, the forts are gone but the name remains. This is a story of trade, exploration and competition, but above all it is a story of people. 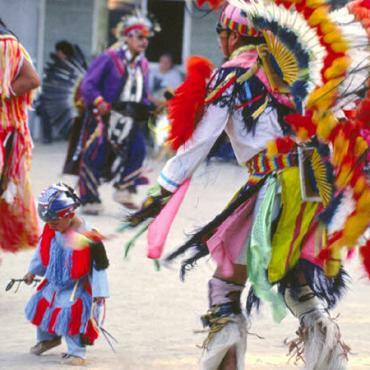 Sitting at the confluence of the Clearwater and North Saskatchewan Rivers, here you can learn the fascinating tales about the the fur trading that took place in the 1800s between the Cree and the Blackfoot tribes. Elk Island National Park is not only an important refuge for bison, elk and more than 250 bird species, it's also an oasis of calm. 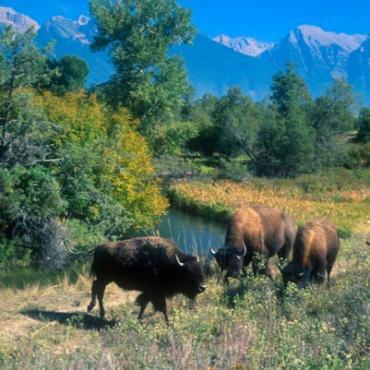 In the gentle wilderness of this extraordinary park you can view free roaming bison and moose. 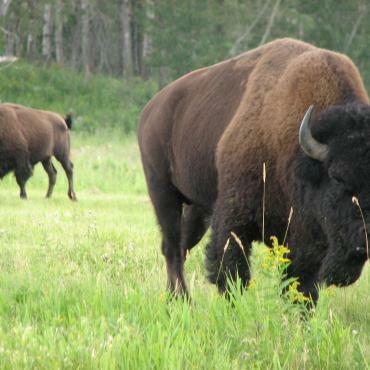 Be sure to take a behind-the-scenes tour at the bison handling facility where you'll learn how this magnificent animal was brought back from near extinction. 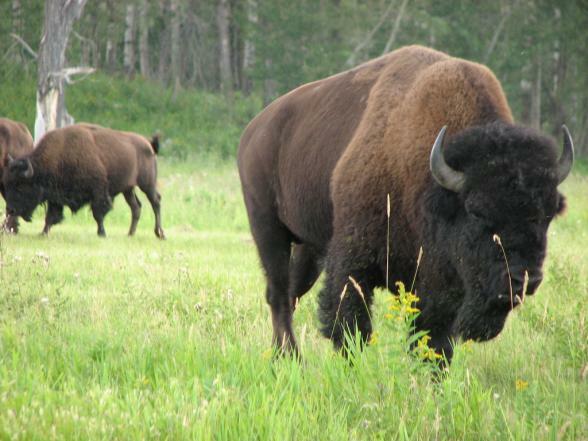 Spend the day at Elk Island wildlife viewing before your short drive back to Edmonton. Depart on your afternoon flight back to the UK. Want to extend your time in Canada? Perhaps a visit to Vancouver Island? A bear-watching trip? A journey on the famous Rocky Mountaineer train? All Bon Voyage holidays are tailor-made, call the experts at Bon Voyage to discuss your holiday in detail.